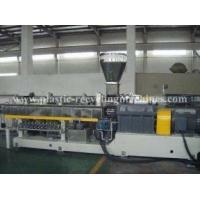 PET strap extrusion line produces high strength, high tenacity PET strap. The raw material can be 100% recycled PET flake. Also you can use virgin material. The raw material will be dried through our CSG style humidifier. The dew point is less than 50PPM. The materials after drying will be conveyed closed. This can keep the drying effect. We use special extruder for PET material to ensure the material to be uniform plasticizing. 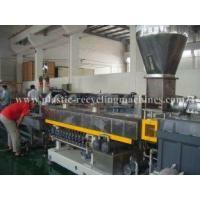 We use quantity feeder for extruder. And this can guarantee the belt size. We make the mould by ourselves. 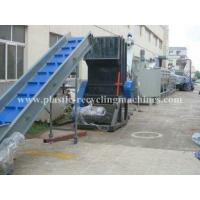 And according to different requirements to produce different mould size. Also we use the hydraulic screen changer. Electrostatic current machine is using for instead of the old water cooling tank. Casting piece is cooling in constant temperature. This can enhance the strength stronger of the PET strap. We use double plate winder. Easy to operate. Also we do warming annealing processing for Pet strap. This will make the PET strap not to be out of shape. Easy to recycle and protect the environment. Our main products are LDHW infrared crystallization drier, PP/PE films crushing washing and rubbing system. 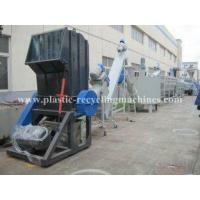 PET waste bottle recycling machine, waste plastic recycling and granulating line. 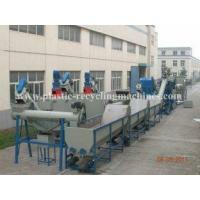 Agglomerate, PET strap extrusion line, sing and double shaft shredder, plastic crusher and so on. 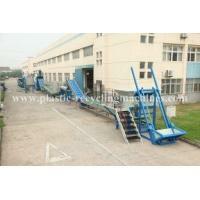 For special model machine, we can produce according to customer’s requirements. Now our technical has been mature with good quality and excellent service. 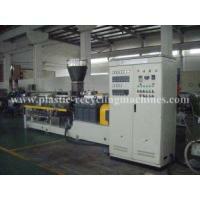 We recommend infrared crystallization drier technical from Germany in Oct, 2008. And we researched and successful to produce the infrared crystallization drier. Now this has got China patent and CE certificate. Our company has got ISO9001:2000 certificate. Also many of our products has got CE, SGS and BV certificate. Now we have got High-tech certificates for 3 products. Infrared crystallization drier is recommended from Germany. 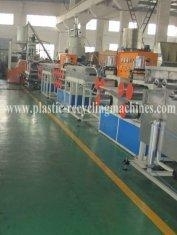 Plastic films rubbing machine is national science and technology plan projects now—Torque plan. We own 19 patents(Among this, 2 items of PCT international create patent, 6 items of national create patent). Also we have got High Tech Company certificate. 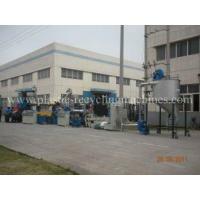 LIANDA MACHINERY always pay high attention to the products quality and service after selling. And we have got good reputation from our customers. Our company develops well and reputation in bank is very good. And company rated AAA grade credible enterprise. We control the quality very strict. And we offer turnkey project for our customers. It’s difficult to get a customer. But it’s easy to lost a customer. So we always consider for our customer. 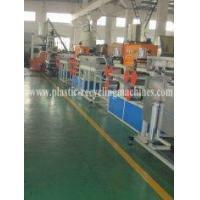 Offer good quality machine and excellent service to get customers.